God's kingdom is full of opposites: The last shall be first; the first shall be last. The humble shall be exalted; the proud shall be humiliated. But one of the most intriguing paradoxes is the verse that says God's power is most evident when we are at our weakest. All followers of Christ will face seasons of suffering for one reason or another. If we're going to weather life's toughest storms, we must dig deep and discover some of the amazing truths only found in God's word. 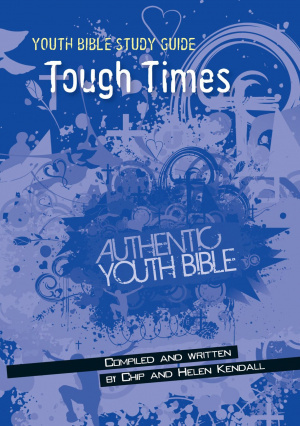 Youth Bible Study Guide: Tough Times by Chip Kendall;Helen Kendall was published by Authentic Media in July 2014 and is our 3473rd best seller. The ISBN for Youth Bible Study Guide: Tough Times is 9781860246371. Be the first to review Youth Bible Study Guide: Tough Times! Got a question? No problem! Just click here to ask us about Youth Bible Study Guide: Tough Times.